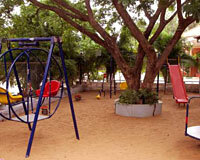 Grand Maurya Resort is located near the major tourist attractions in Mysore. 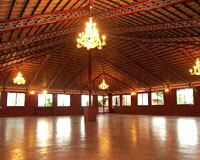 Grand Maurya Resort is a cozy resort that makes the perfect host on a visit to Mysore. 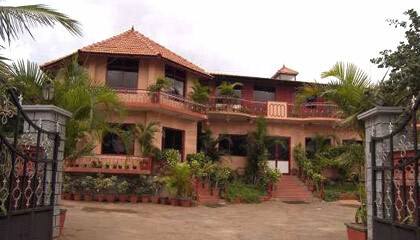 The resort has got simple architecture and its great features make it an exciting place to stay. 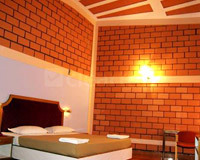 Its stylish interiors, completed with soothing ambience, call upon travelers to stay here. 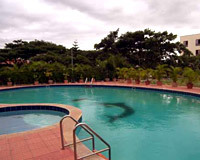 The resort offers a pleasing experience without compromising on the amenities offered. With great facilities and accommodation on offer, Grand Maurya Resort is a fantastic staying option in Mysore. The resort has a total of 18 Swiss Cottages. 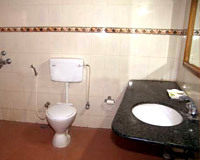 All the cottages are done up with stylish decor and all possible amenities. 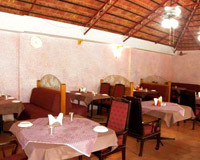 The Restaurant: A place to enjoy a range of veg and non-veg delicacies. 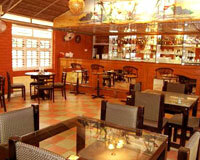 Double-Inn Bar: A well-stocked bar to indulge in the finest spirits & liquor.